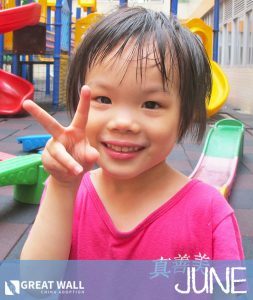 June is a sweet little girl from China that is going to turn 5 years old in early 2017. June’s file has just been prepared and is brand new! June has CHD (congenital heart disease) and she has not yet received any surgery for her heart condition. She also has mild anemia. June is speaking 5-10 word sentences, she knows how to count numbers 1-10, she knows how to differentiate colors and she knows the difference between big and small. She can draw a person on a paper with three different body parts (i.e. face, ears, nose, hands, lets, etc.). June can also write her own name. She can walk and go up and down stairs without help, and she can jump off the ground with both feet. June likes playing outside and her favorite toys are dolls and balls. She is found of listening to music and reading picture books. 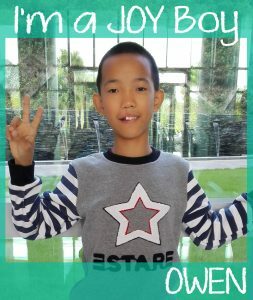 You can contact the China Home Finding Team at Great Wall if you would like to learn more about adopting June. We hope we are able to find June her Forever Family soon! Click Here to Watch June’s NEW Video! Meet Piper! Piper is an adorable kiddo who will be turning two this December. 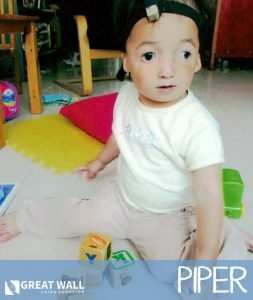 She was born with Treacher Collins Syndrome, as well as aural atresia and microtia. She currently hears with the assistance of a hearing aid. She is a very bright child and is described by her caregivers as active, restless, and social. She is currently staying with a foster family and has thrived with their consistent care. She is able to use simple words like “Mama” and can clearly express her needs. She is able to distinguish between strangers and her caregivers and has attached well with her foster family. She loves music, and loves to sing and dance along with the melody! She also loves to play outside and prefers to hold hands and walk with her caregivers. She also loves to swim and play on the beach, and she’s even gotten the chance to go to Disneyland! 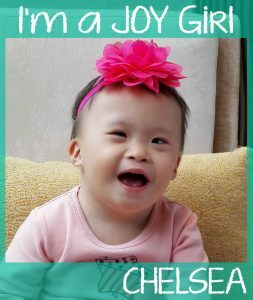 She’s a bright and happy kiddo who would thrive with a family to call her own. Please reach out to Great Wall if you would like to learn more! Kendall is a sweet 11 year old girl! 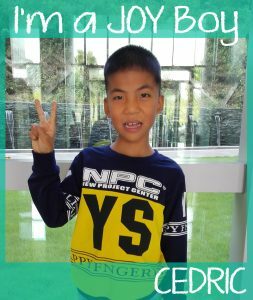 She has epilepsy and hemiplegia of the right side. 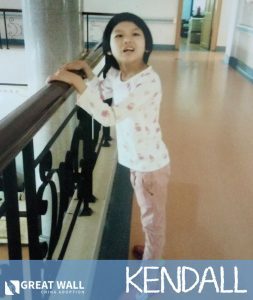 Kendall is slightly delayed compared to her peers but we believe that is due to the combination of her hemiplegia and institutionalization. Her muscle strength on her left side is weaker than her right side. She can go up and down stairs on her own and take care of herself in daily life. Her file indicates that her language development has improved greatly and that she has clear pronunciation. She can sing children’s songs and clap along to the rhythm of the music! 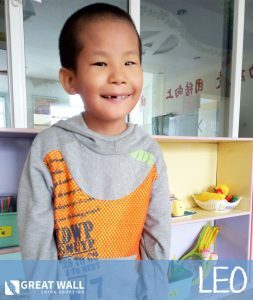 She is in the special school at the orphanage and is currently in the second grade. Contact GWCA today if you’d like to review her file!